Honda has recently unveiled the 2019 Honda Insight, the sophisticated sedan with best-in-class passenger and cargo space, with a 4.6L/100km fuel efficiency rating. The styling of the vehicle is sleek and universally appealing, bringing a new level of sophistication and style into the world of compact hybrid vehicles. The 2019 Insight has an MSRP starting at $27,990. 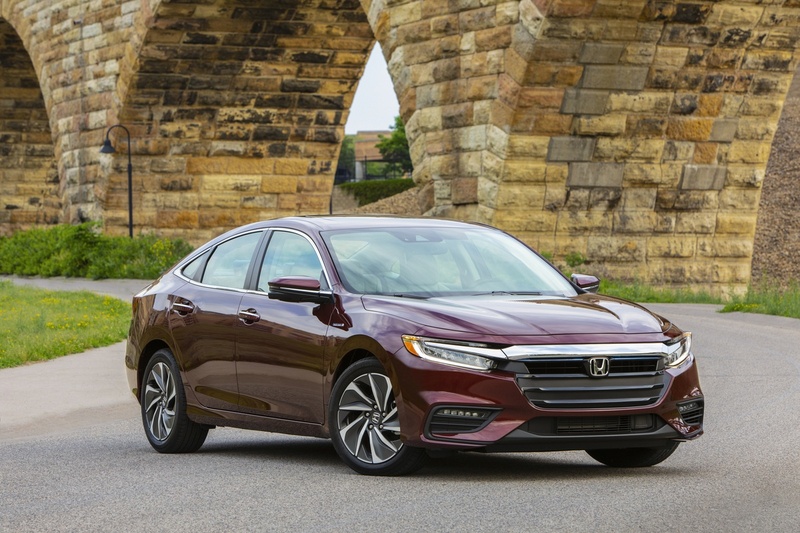 The Honda Insight is powered by Honda’s third generation two-motor hybrid drivetrain, which is also featured in the 2018 Honda Accord Hybrid. The model features a 1.5-litre DOHC i-VTEC Atkinson-cycle inline-4 engine with 40.5-percent thermal efficiency, pairing it with an electric propulsion motor that produces 197 lb.-ft. of torque offering a total system output of 151 horsepower. Thanks to the innovative two-motor design, the Insight does not require the conventional automatic transmission. The hybrid powertrain gets its power from the gasoline engine and electric motors, accommodating the driving conditions as necessary using three different modes. The EX Drive mode uses only the electric drive motor, drawing all power from the battery. In Hybrid Drive mode, a generator motor is used and powered by the gasoline engine, which supplies power to the drive motor. The Engine Drive mode connects the gasoline engine directly to the drive wheels when driving conditions require. The Insight Hybrid trim offers an NRCAN Fuel Economy Rating of 4.6/5.3/4.9 (city/highway/combined), at an MSRP of $27,990. The Honda Insight Hybrid Touring trim has an NRCAN Fuel Economy Rating of 4.6/5.3/4.9 (city/highway/combined) as well, with an MSRP of $31,590. For more information on the 2019 Honda Insight Hybrid or any of Honda’s lineup of hybrid vehicles, visit Henley Honda today.